EPA Administrator Scott Pruitt’s becoming more and more of a world traveler in his leadership capacity for the Trump administration. 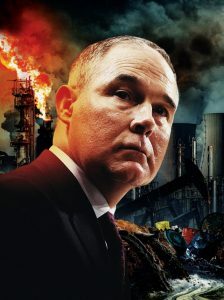 Not only is the former Oklahoma Attorney General planning to visit Israel Jan. 26-28 in a trip that’s been highly criticized by his detractors, now Pruitt’s heading to Japan. He’ll make the trip to Japan to discuss “general environment cooperation” according an official with the administration. However, beyond that comment, the EPA administration isn’t saying much more about the trip. Pruitt’s travels in the states are under critical review by Democrats who think the costs are exorbitant and unnecessary.